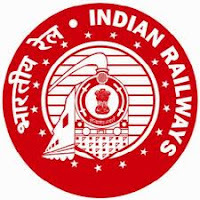 Jobs Details :- Application are invited for the Posts of Technician, Clerk in Eastern Railway. Qualifications : Successfully course completed Act Apprentices &/or ITI passed candidates in the relevant trade approved by NCVT/SCVT . No. Of Post : 173 Posts. How to Apply : Application in the prescribed format should reach to the Dy.Chief Personnel Officer/RP, Eastern Railway, 17, N.S.Road, 1st Floor, Fairlie Place, Kolkata – 700 001.The envelope containing the application be superscribed “Application for VH/HH/OH Quota Against The Notification No 1/2012/PWD(ER) And Category No.________, Name of the Post __________For Employment In E.RLY.” Closing Date- & -Time: 06.08.2012 – 17:30 hrs.